We work in partnership with Monash University and other leading education providers, to empower thousands of professionals in health and other disciplines to effectively respond to addiction and related issues through the provision of evidence-based research, policy advice, high quality post-graduate education. Check out the full year ahead of seminars, public lectures and stakeholders forums including a focus on pharmaceutical opioids, family violence and behaviour disorders. 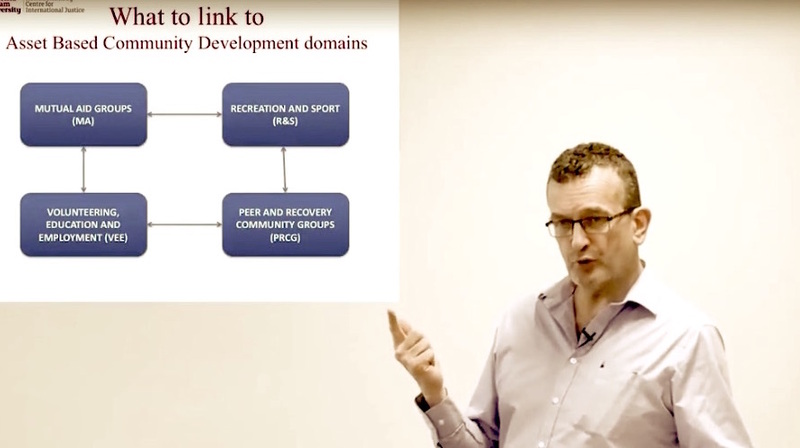 Professor David Best looks at how communities can facilitate or block attempts to reintegrate and rehabilitate marginalised members of society and discusses the value of asset-mapping in public health. This webinar looks at the role of neuropsychology in assessing, diagnosing and managing complex clients with alcohol and/or other drug issues. We work in partnership with Monash University to provide a range of graduate diploma, certificate and degree courses that empower the next generation of health professionals to effectively respond to addiction and related issues.